Continuing his week-long busman’s holiday, Iain Robertson drove an amazing 3,000 miles around the UK in pursuit of some of the most spectacular driving routes, to create a travelogue of moderate merit. Having trawled up to the far north-west of Scotland and back into northern England in my pillar-box red Suzuki S-Cross, in just two days on the road, I was ready to sample one of the best ‘fast tracks’ across the countryside, at the Kielder Forest complex, Northumberland. Owned by a combine that includes the Forestry Commission and Northumbrian Water, the toll road, which is open to the public (£3.00, ticket machine at the Kielder Castle end), is 21 miles in length, with a couple of smooth tarmac sections and around 12 miles of regularly graded and non-damaging gravel roads. Often referred to as ‘Killer Kielder’ by the rallying sector, as a pleasure drive, maintaining smooth and unruffled progress is not just easy but a genuine delight. The main route climbs through the forestation and areas of economically managed clearances, with some spectacular views across the Borders countryside. Upon reaching its conclusion, I headed across country for another high-spot, this time in County Durham, around the former lead mining area at Killhope. At the base of the steep gradient is an operating lead mine and museum that is well worth a visit. The northern Pennines is criss-crossed with wonderful driving routes, many of which promise potentially laborious climbs and steep descents. The Suzuki was in its element. Its taut handling and delicious steering feeding back the right information to the driver. Yet, something else was becoming abundantly obvious, the S-Cross features seats that support and do not tire the driver. It is an aspect often ignored even by the most prestigious of brands that springing the seats in conjunction with the car’s suspension can provide the maximum comfort benefits. The views from the stone cross at the top of Killhope are extensive and help to point the car in the direction of the English Lakes and the third of the overnight stops. 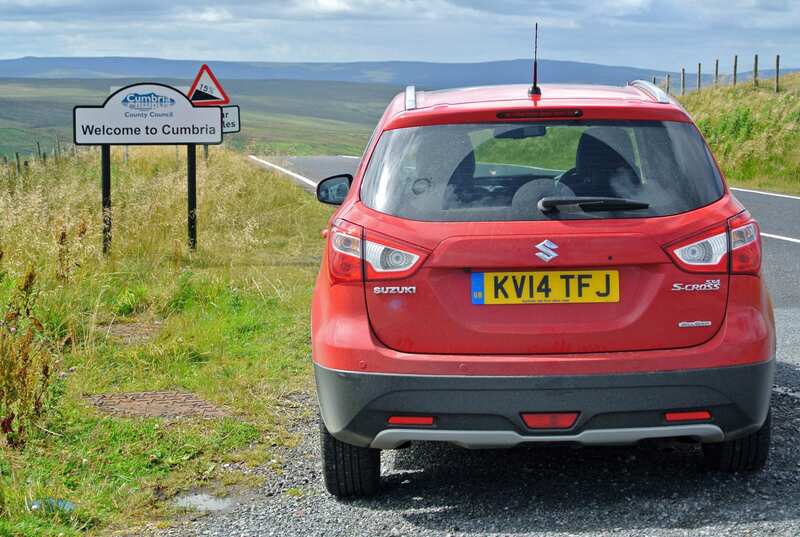 En-route, using the A686, Corbridge to Penrith road, the Suzuki encountered one of its most amazing English high-spots, at Hartside (1904ft), and from the café at its summit it is possible to see both south-west Scotland, across the Solway Firth, and the mountains of the Lake District. The views are glorious on a sunny day. Heading towards Windermere, the next village dropped into is Melmerby, Cumbria, where I urge you to stop at its famous Bakery. The cakes are awesome, as are the various breads that it exports far and wide. However, I am seeking another famous climb, this time up the Kirkstone Pass, which is on the A592 from Penrith, past Ullswater, with its concentration on water-based sporting activities. The climb uphill is notably steep and narrow, with unseen dangers around every corner, not the least of which are chunks of granite dislodged by wandering sheep that roll down the hills to land on the roadway. However, with all manner of traffic to contend with, including foreign-plated luxury coaches and heavy goods trucks, remaining on your own side of the road is made doubly hard. At 1,489ft, Kirkstone is one of the Lakes District’s highest driveable passes and the Kirkstone Pass Inn at its summit provides a welcome respite for cyclists, powered or otherwise, and tourists galore. The views, once again, are breathtaking. The drive downhill into Windermere, the heart of the Lakes, can be taken along the choice of a couple of routes, each of which offers a good challenge to the car, for which I was grateful, on more than one occasion, that its footprint is narrow and very manageable. Hillthwaite House Hotel, with its lovely views across both the water at Windermere and the town itself, is a well-managed and very comfortable abode. Its restaurant has gained a strong reputation for fine dining, although a mid-season dinner, bed and breakfast rate of just £130 per night was not only cost-effective but immensely satisfying. The bed was supremely comfortable, while the Jacuzzi bath in the en-suite was an unusual and welcome treat. The bar was friendly and the attentive staff could scarcely make the stay any more pleasant than they did. Next morning, the car was pointed south-east to Skipton, the gateway to the North Yorkshire national park, before driving across Bronte country to Halifax, in West Yorkshire. 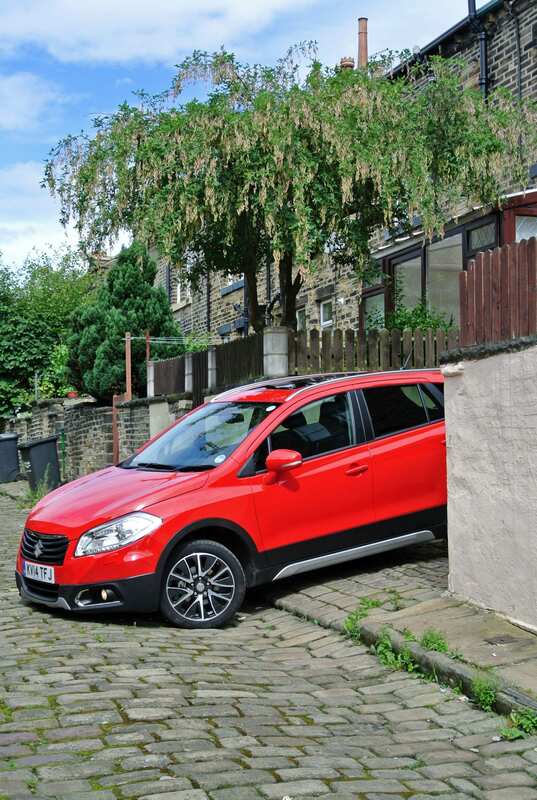 The ground clearance and progressive suspension of the S-Cross were a boon on some of the old mill town’s ancient cobbled streets. With no time to linger, the journey continued across country to historic Chester, then North Wales and Llandudno. My intention was to drive around The Great Orme, on the headland that juts from the west end of this delightful Victorian seaside town into the Irish Sea. Another toll road (£2.50), it is also one way and provides an interesting and legal means by which to extend the Suzuki’s performance and sample its first-rate road manners. Thanks to a resilient ride, it tackled The Orme’s tighter bends with aplomb and seldom felt anything less than competent. Searching out the poorly signed back lane that can take visitors from the town centre to the summit, past the route of the funicular railway, is a worthwhile diversion, which demands first gear to scale its steepest sections. The views over the bay are gorgeous but you can also wonder at the marvels of Snowdonia from the same high-spots at Llandudno. Overnight was arranged at The Headlands Hotel, which is very near to the start of the toll road. However, dinner was not on the cards and I sought out the exquisite Groes Inn, just a couple of miles south of Conwy. Listed as Wales’s oldest licensed pub (1573), its bar/restaurant menu is extensive but not expensive and the venison sausages and mustard mash were heavenly (under £20 per head for a three-course dinner with drinks). The place looks tiny but is like a Tardis inside, with wonderful views over the Snowdonian countryside. The Headlands is a classically wood-panelled and elegant property, B&B was a cost-effective £60 for the night and Ray, the hotelier, even provided a bag containing a bottle of spring water and a slice of chewy homemade granola bar for the onward trip in the morning. Sadly, the bed was not as good as the rest of the hotel, which upset my sleep pattern. Next morning, after hobbling to the car and switching on its heated seat, I was able to prepare myself for a drive around the racing circuit on Anglesey. 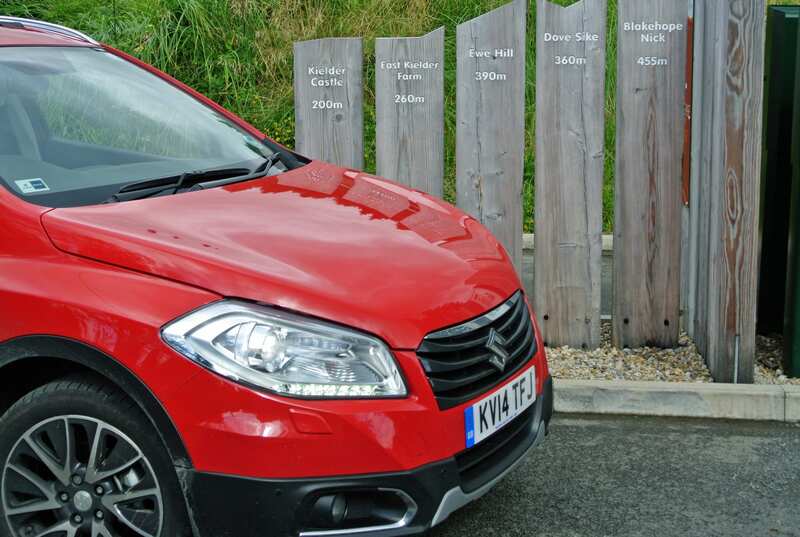 Continue reading Part 3, as Iain Robertson continues his week-long traipse around the UK, in a Suzuki S-Cross.